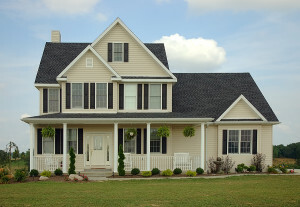 If you’re looking for a company to install siding on your home in Tijeras, New Mexico, or a surrounding area, it can be hard to know who to trust. There are many companies out there that are offering less than desirable cladding materials when all you truly need to know your home will be protected and elegant is seamless steel siding. This unique style of siding is made to be rugged and beautiful and stands out as the leading cladding material in the industry. Thankfully, ABC Seamless of Albuquerque is in the area and offers hot-dipped, 28-gauge, G-90 galvanized steel siding, to homeowners in Tijeras, NM, and the surrounding areas. We custom fabricate our steel on-site to ensure that it will stretch beautifully from side-to-side of each customer’s home in an effort to eliminate wrinkles, warps, or seams. For more information about what makes us stand out as the leading siding contractor in Tijeras, NM, or a surrounding area, contact ABC Seamless of Albuquerque today. Alternatively, feel free to stop by our elegant showroom to see all of our home improvement products in person.